Cross a Zebra with a Unicorn & You Have Zoonicorn Fun! What do you get when you combine a zebra and a unicorn? Zoonicorns were created by Zoonicorn, LLC, a company out of Minneapolis, Minnesota. Their tagline is, “Enriching youth with life adventures.™” They aim to do this with their family of four plush Zoonicorns as well as a hardcover book featuring each one. 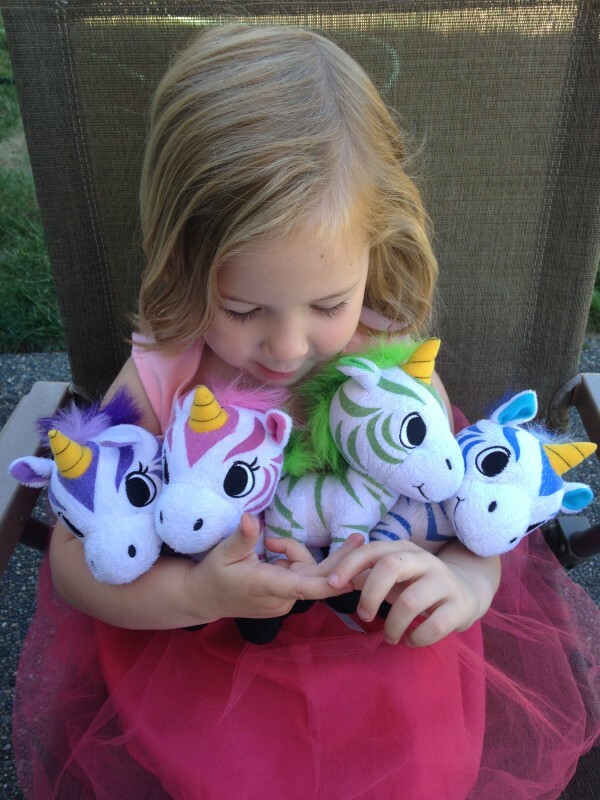 My son and daughter received all four of the fabulous Zoonicorns in exchange for an honest review. 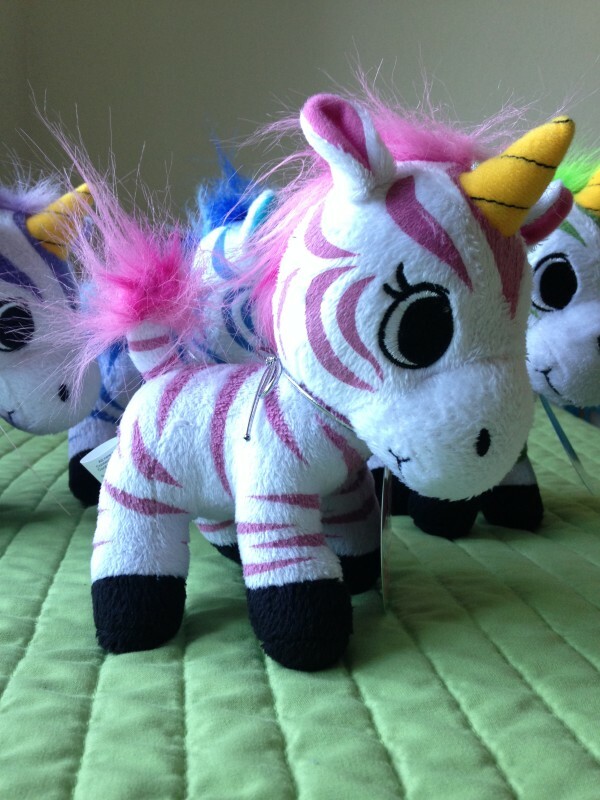 Zoonicorns: Zebra + Unicorns = Fun! These plush Zoonicorns are super soft and each has their own unique name. They include: Promithea, Aliel, Ene, and Valeo. They can sit upright on their own which is great for playtime. At about 6 ½ inches tall and about 3 ½ inches wide, the Zoonicorns easily fit into a backpack when we’re on the go. They’re really unique and because they come in four different colors and personalities both my son and daughter have found something they like about each one. They have spent many nights curled up with one or both of the Zoonicorns. Along with the plush Zoonicorns, there is also a hardcover book called, Buffy Meets the Zoonicorns. This hardcover book includes 16 pages and tells the story of a young bison named Buffy. The Zoonicorns visit Buffy in a dream and help ease her mind. The story teaches a simple life lesson and highlights the personalities of each Zoonicorn in the process. My kids really liked seeing and hearing the Zoonicorns come to life the first time we read the book together. 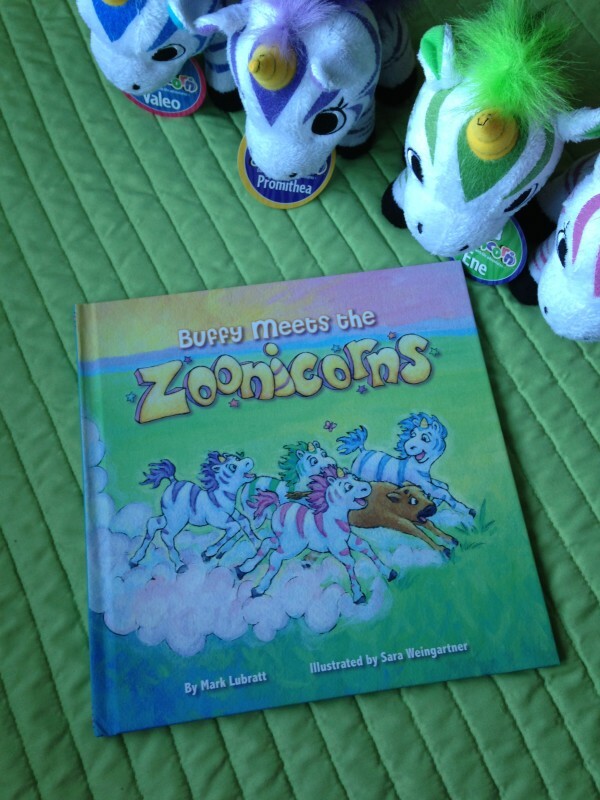 The Zoonicorn plush characters and Buffy Meets the Zoonicorns can be purchased separately for $14.99 or all together in a special bundle with the book for $59.95 on the company’s website. Coming this fall, your children will be able to play and interact with all the Zoonicorns online and via a fun app! Keep an eye out for an update on that exciting news! In the mean time, visit them at www.zoonicorn.com to learn more and read the story of each special Zoonicorn! Follow Zoonicorn on Facebook to keep up with all their exciting news and adventures! Which of the Zoonicorns would your child love to bring home? Tell me in the comments! Those are the cutest! I think even my two young grandsons would love these since they come in the colors blue and green! The purple Zoonicorn and the book would be so awesome to get my niece this summer as a birthday gift. She would love it! I will have to take a look. My little sister would be in love with these! We once saw a ‘zedonk’ so she’d get a kick out of these! My niece is a huge fan of her unicorns, and she loves books that come with stuffed animals, we always get her the ones at kohl’s. Would have to get her every color of these for sure. So cute!